The driver involved in the chase was arrested. 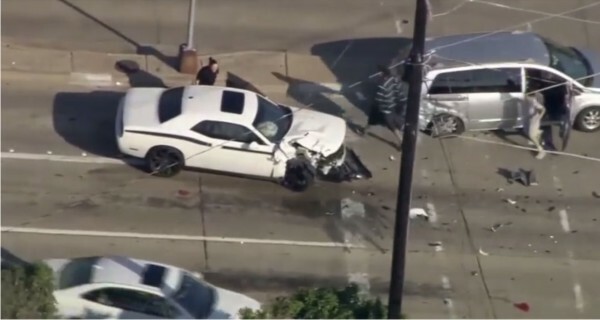 Dallas police said that the suspect Artrai Alexander 40 years, he stole into a store nearby, then with white Dodge Challenger tried to avoid the police until he crashed into minivan. The victim called 911 and described the car.